Hello, friends! I've had a crazy day! But now that I'm home, after my hubby rescued me from a dead battery in my truck, I bring you a little Hero Arts and Papertrey Ink goodness... Pulled out my new Hero Arts Dogwood stamp and paired it with Papertrey Ink's Framed. 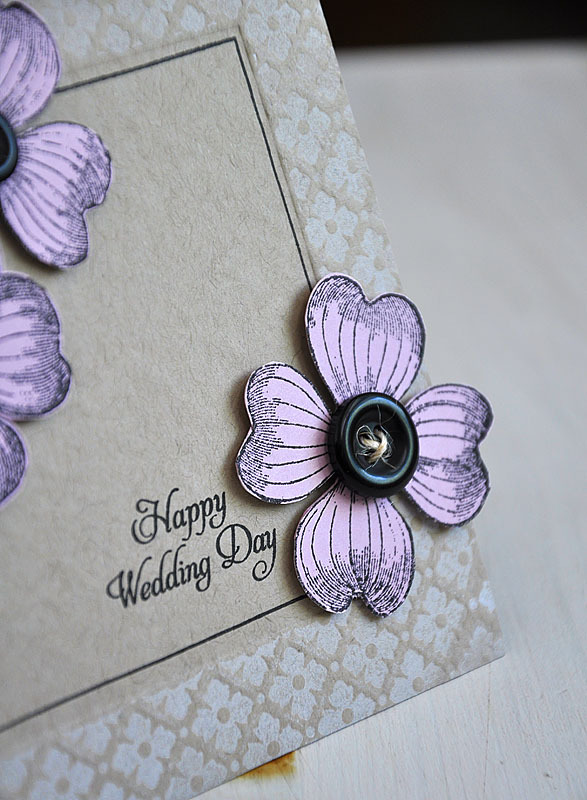 For the card base, I used the same letterpress frame idea used on the last card in this post. 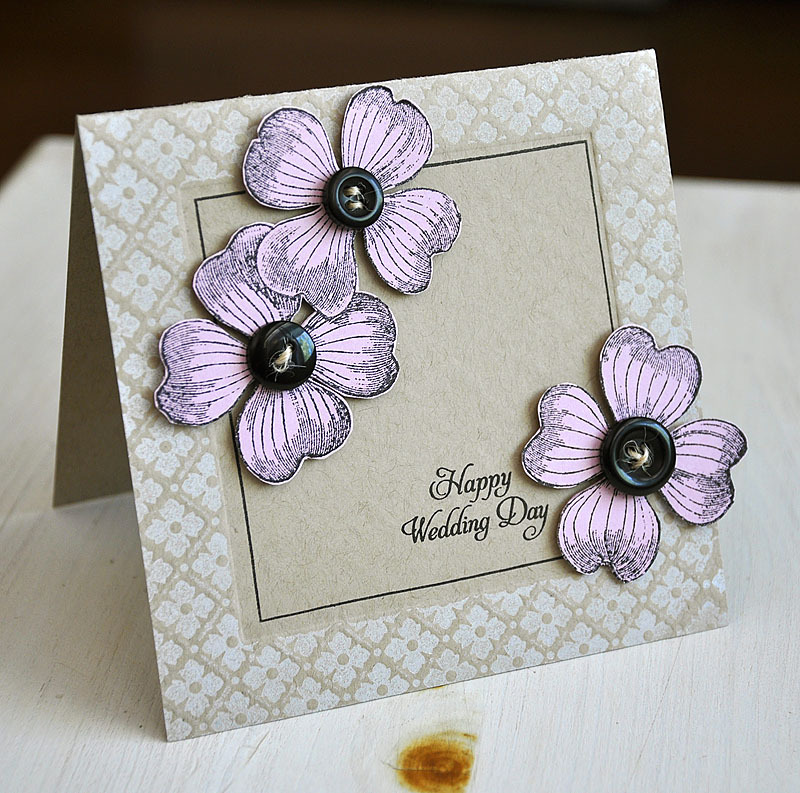 Stamped the dogwood image onto Lavender Moon cardstock, cut the flowers out and attached to the corners of the frame. Stamped a sentiment from Delightful Dahlia in black and embellished the flower centers with True Black buttons and button twine. Hope you day is going much smoother than mine! Awesome card Maile! So sorry to hear about your battery ordeal! Yikes, I hate when that happens! This card is SO pretty, Maile! 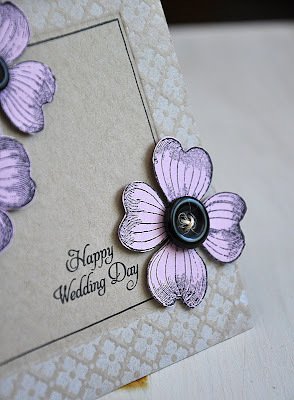 I love how you used the dogwood stamp! Sorry to hear about your dead battery. That's never any fun! Oh gracious me! If I could whip something this amazing together after a day with mishaps - maybe I should *HOPE* for some :0)! This is so beautiful - I love the colour combination!